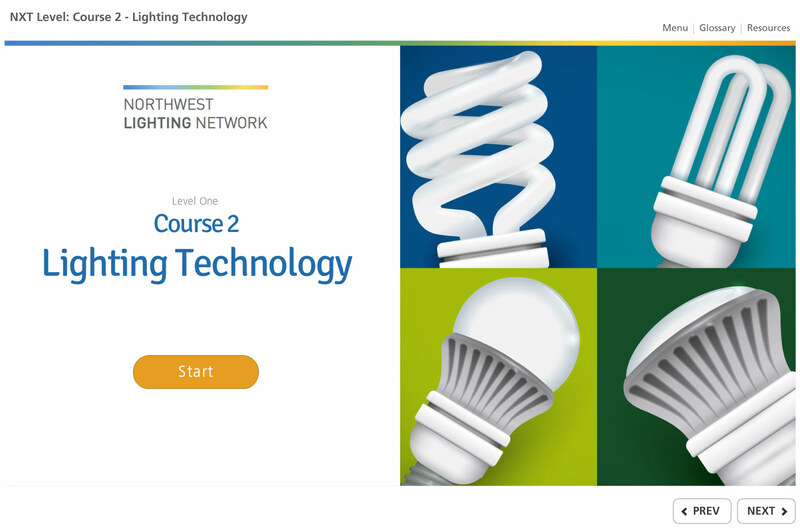 I served as strategic adviser and lead product designer for the NXT Level training program - a new certification program for trade ally companies and individuals delivering lighting retrofits to commercial and industrial customers in Washington, Oregon, Idaho and Montana. 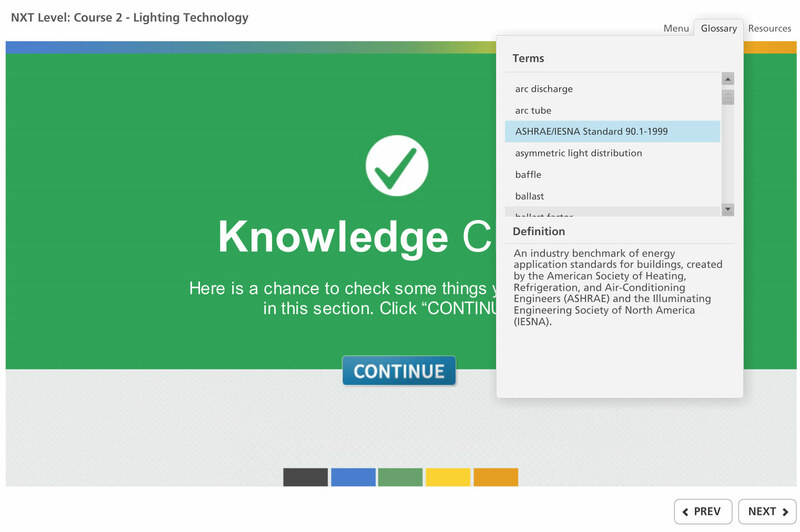 NXT Level 1 training addresses the needs customers, utilities, and trade allies face in the commercial lighting retrofit market. 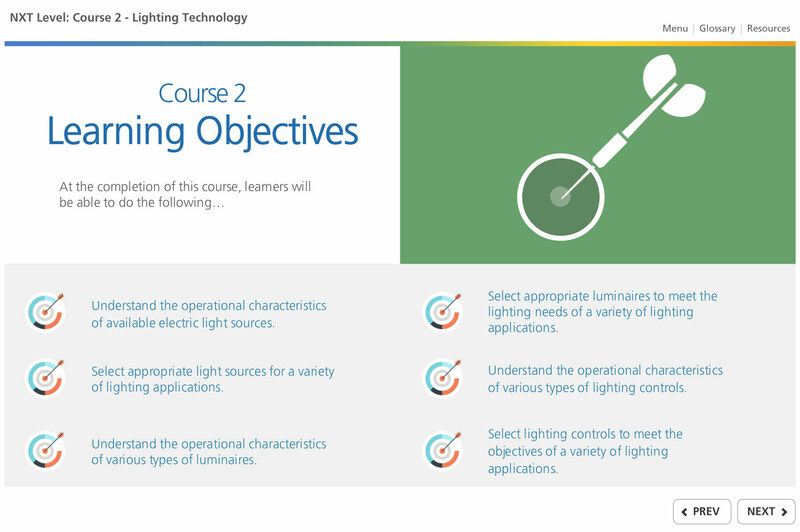 The program is designed to provide those who complete the training gain a thorough understanding of advanced lighting systems and controls. 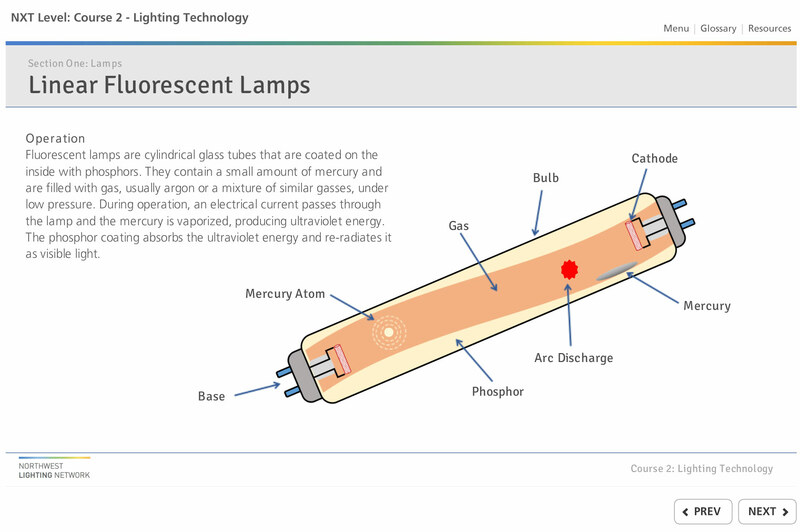 NXT Level 1 is broken into six learning modules, each focusing on a different aspect of the lighting retrofit market. 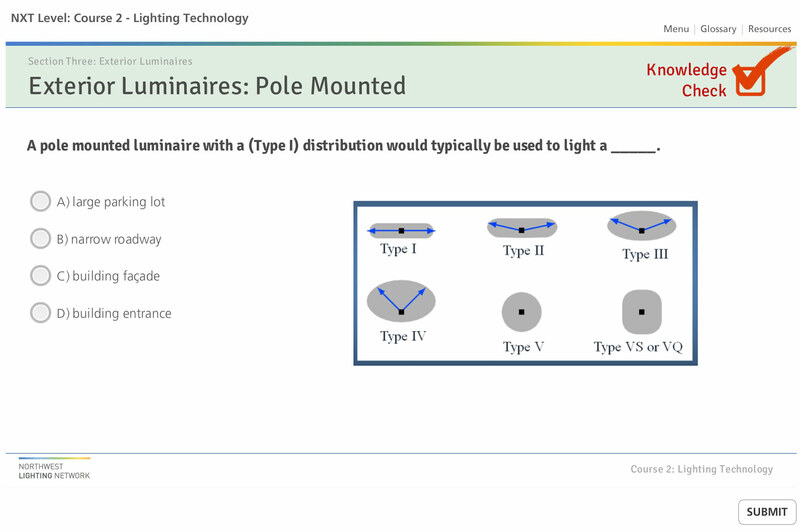 The curriculum is intended to provide trade allies with a comprehensive, thorough understanding of the entire lighting retrofit project. 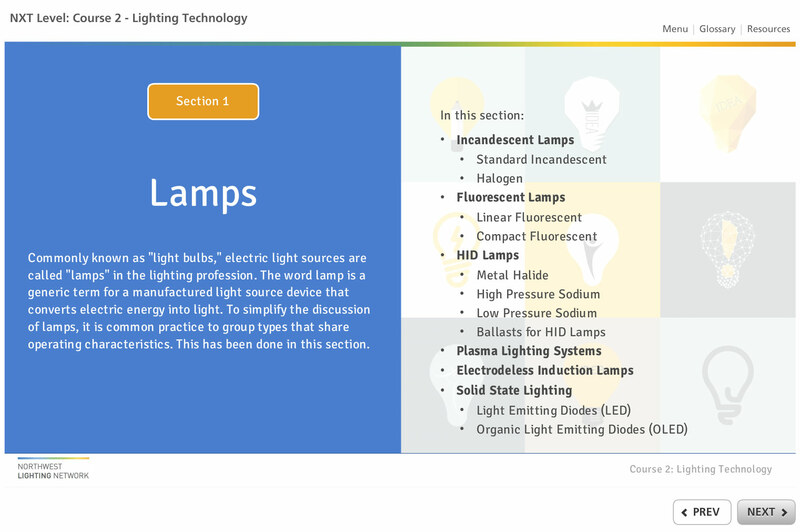 I worked with subject matter experts and municipal utility management to create six learning units, with the content packaged in a user-friendly, logically organized and easy to understand framework.